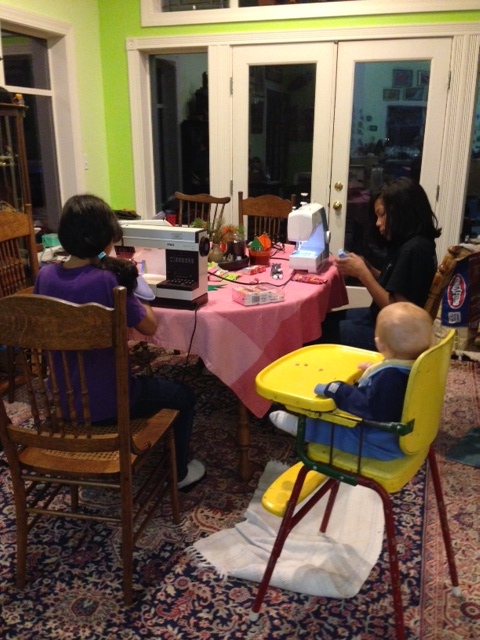 Seneca and Raven sew at home. Seneca and Raven have both been interested in learning to sew. 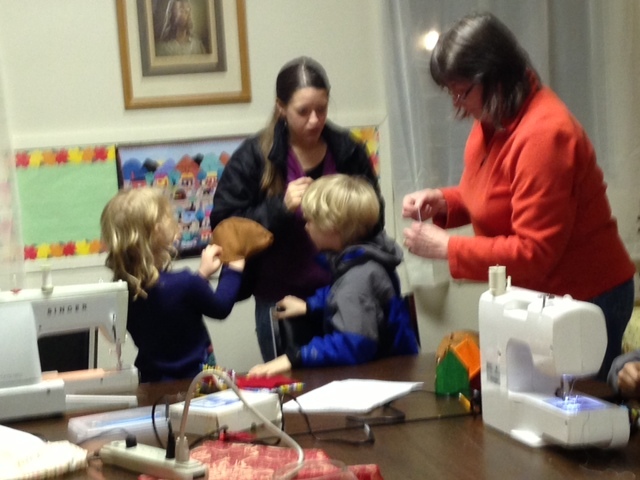 They beg to use my sewing machine and I have encouraged them, teaching them the basics. 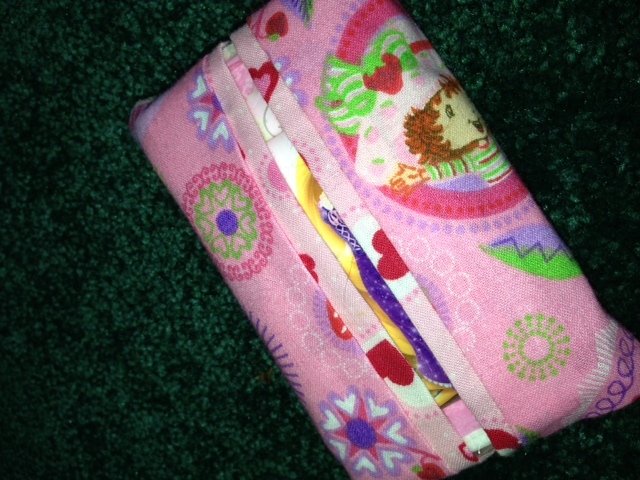 I like to sew but am not a good teacher for them because, of course, Mom doesn’t necessarily know how to do things. 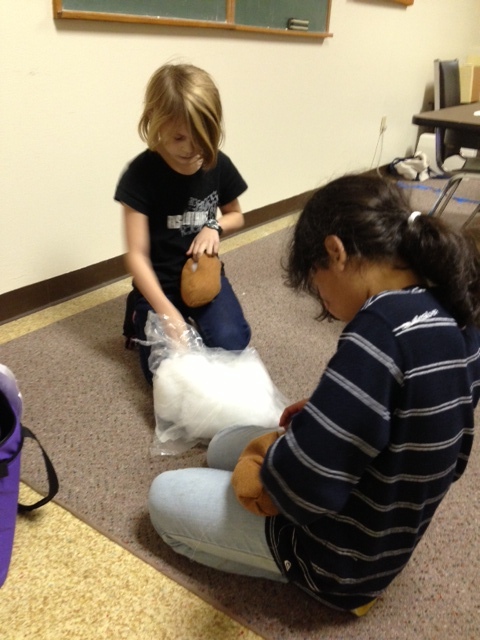 I wanted to enroll them in a 4-H club with a sewing project, but wasn’t having much success in finding one. Luckily I did find a friend in the quilt club, Marilyn, who has taught children to sew and was interested in working with a new group. A perfect match, I could work on organizing things and she would teach. 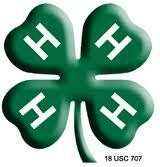 We joined with an existing 4-H club in the area, “Pure Country” that offers lots of projects. They had a sewing group but most of the sewers has recently graduated from high school, and the leaders stepped down. Perfect timing for us. We had our first meeting in December. 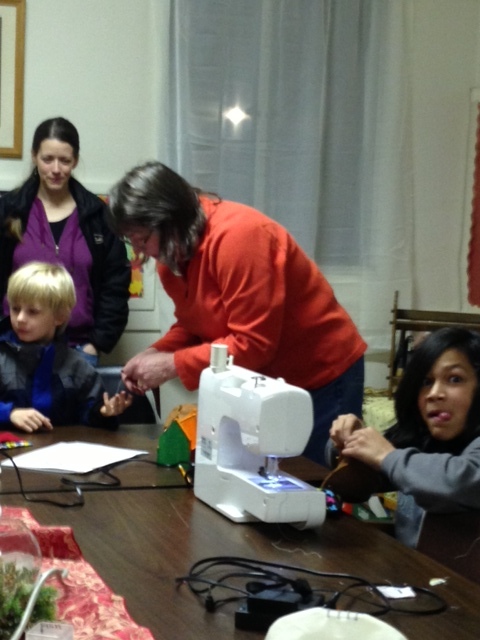 Six potential sewers came to the first sewing and textiles 4-H meeting. Each child completed their first project and most made a Christmas ornament as well. 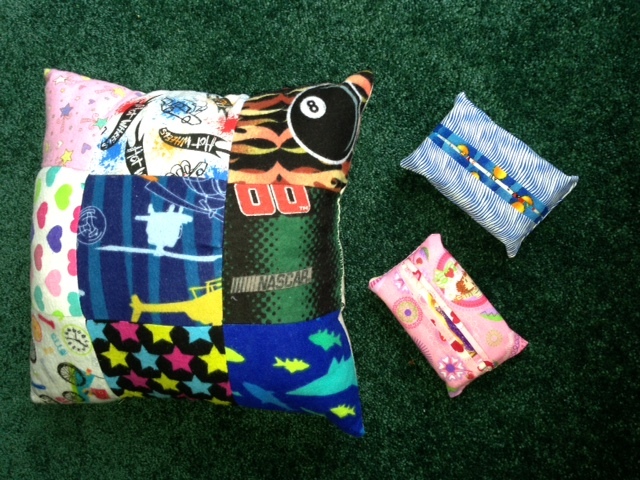 Raven made the pillow, tissue holders were given for gifts. I was a 4-H girl myself and I still get together with some of the women from our 4-H club that was started nearly 60 years ago. 4-H has had a very positive influence on my life and I hope Seneca and Raven ey will learn some of the skills and values and that they will serve them well. 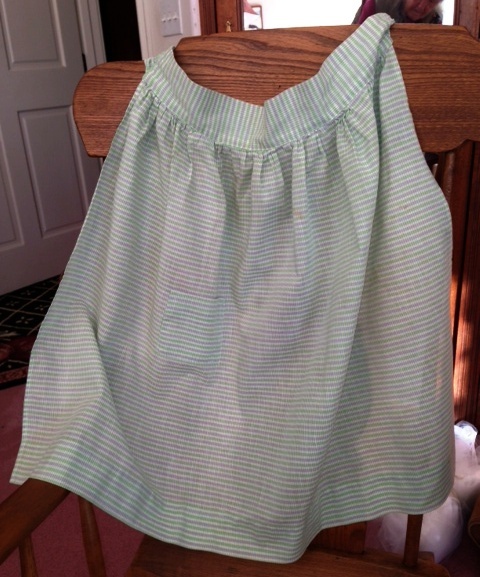 This is the apron I made in 4-H all those years ago!! We spent the week following Christmas at our Ocean Shores place where I keep most of my quilting supplies and equipment. My plan was to finish a several projects so I could get started on new projects in the new year. 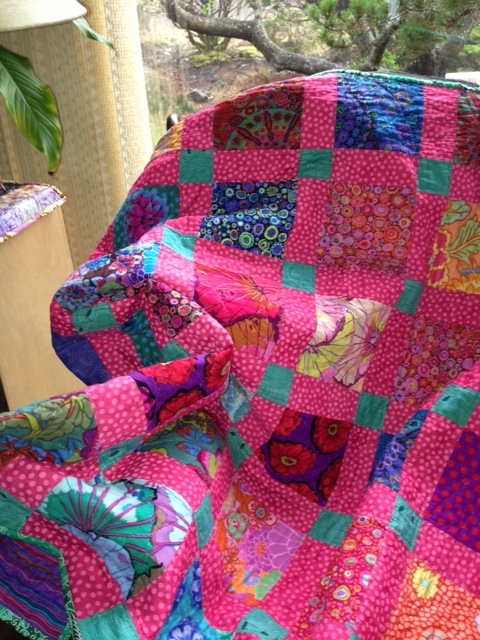 This bright pink and turquoise quilt was made with pre-cut squares which I used when I was recovering from my broken arm to reduce the amount of cutting required. It didn’t take long to sew it together but I decided to hand quilt it which takes me a long time. 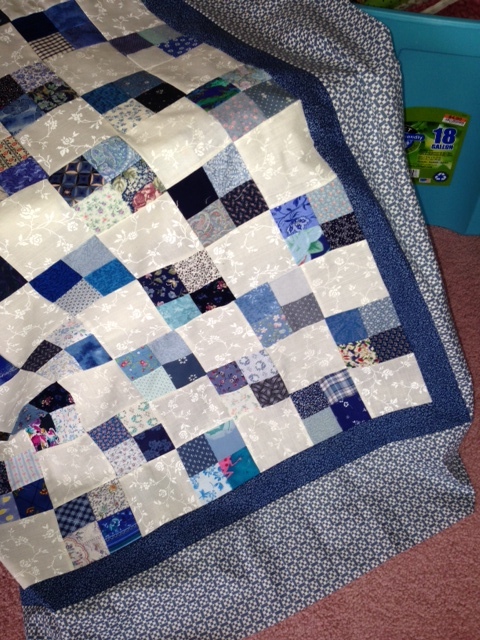 I finally finished the quilting this week, and sewed on the binding. 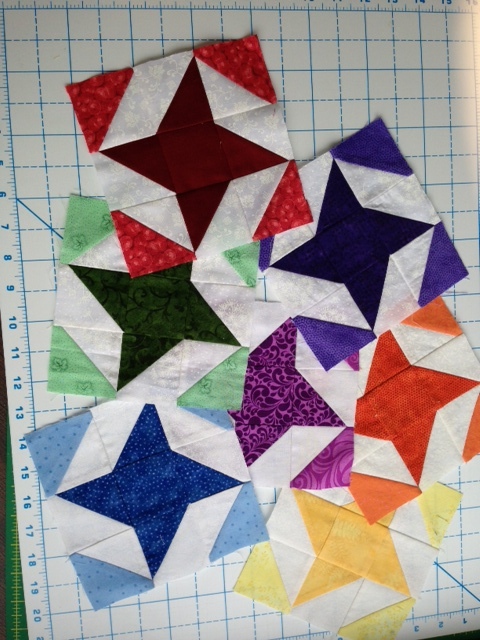 Next I needed to make 15 red twirling star blocks for the exchange I have been participating in. We have done squares of a different color every six weeks for nearly a year, and the red ones are last. 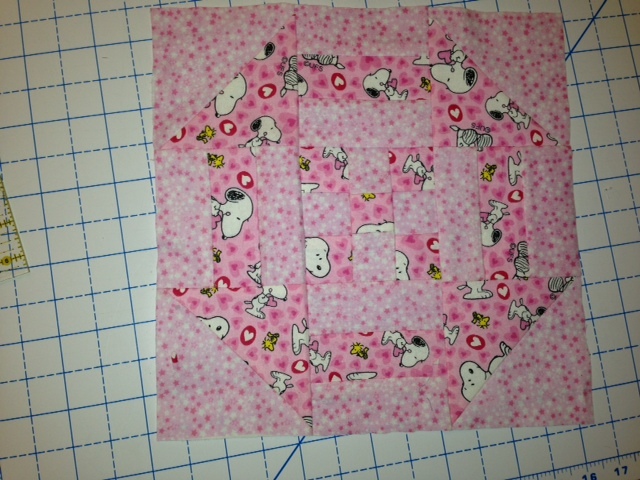 Soon I’ll be able to start thinking about how to put the squares together. 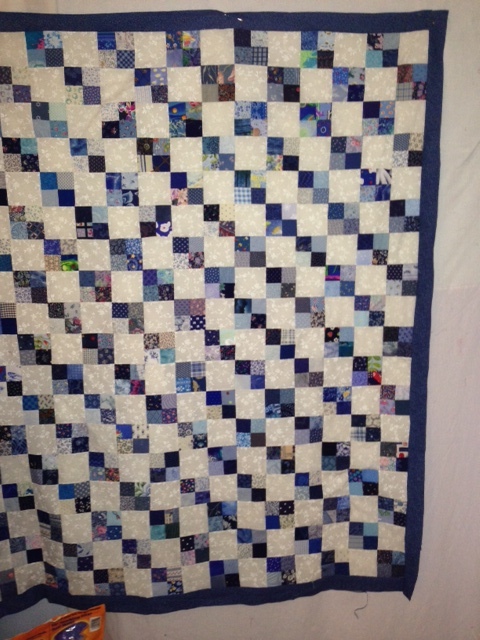 And I got the borders on a blue and white scrap quilt I put together this fall. Each of the blue squares is different, it takes lots time to do the cutting and in some ways it is a waste of time, but it uses up scraps and I have some lovely blue fabric is very small pieces. 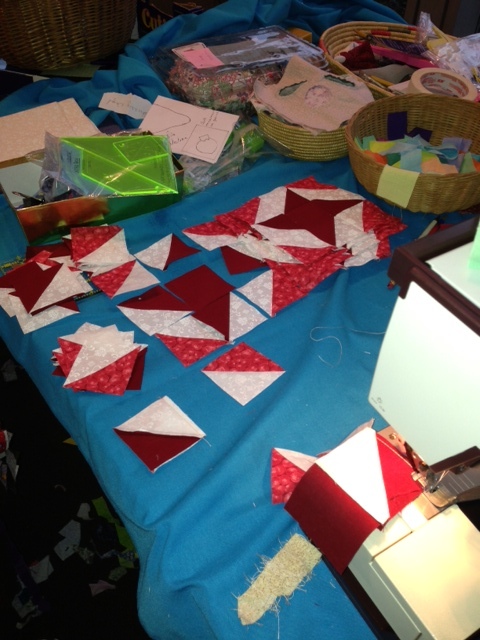 On New Year’s day I participated in an on-line mystery quilt project. We were given clues throughout the day and it wasn’t until evening that we got an idea of what the quilt would look like, lots of fun as those participating chatted throughout the day on Facebook, and the group email list. Mine is made of flannel and will be available for a foster child this year. My quilting goal for the new year is to be able to use the quilting machine that is sitting near my computer. I have been trying to give a quilt to each foster child that comes to us, they do love them, but in 2013 we had 31 different children. I couldn’t keep up, though some friends have helped! 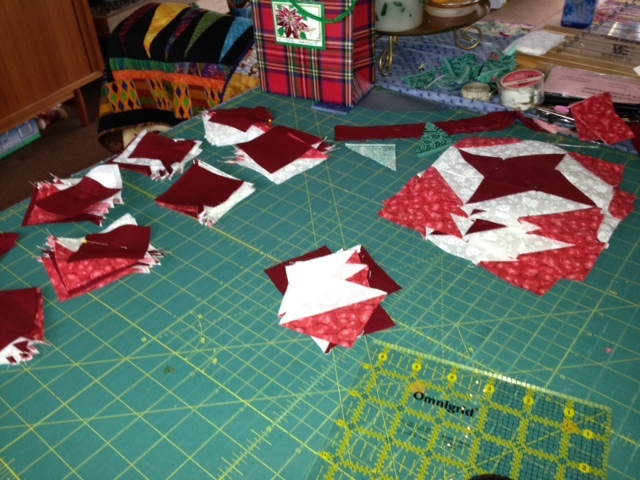 The quilting machine will help too, once I have it figured out.